With a number of critical decisions set to be released by the Supreme Court this month, one in particular could have wide-ranging impact on our economy and on the very principle of federalism. 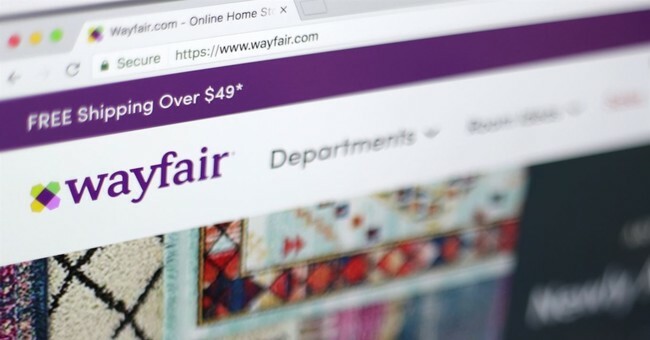 In South Dakota v. Wayfair, the Court will decide whether to uphold its earlier decision that states cannot force businesses to collect and remit sales taxes unless the businesses has a physical presence in their state. A bad decision from the court – as well as possible legislation from Congress – would lead to Internet sales taxes that harm hundreds of thousands of small businesses across the nation and change the very face of the Internet economy. In 1992, the Court decided in Quill Corp vs. North Dakota that states do not have the power to impose sales tax burdens on businesses with no physical presence in their state. This important precedent has prevented states form being able to tax, audit or regulate businesses and individuals that do not reside in their state.State and local governments – and some allies in Congress - want to get their hands on as much revenue as possible and have tried to find a way to undo this precedent. The Wayfair decision will determine whether we continue this critical model – as will subsequent decisions by Congress. An entrepreneur who starts an online business should not be turned into a national tax collector. There are currently over 10,000 sales tax jurisdictions in the United States. If an Internet sales tax goes through, these small businesses will now be forced to figure out and collect the taxes for all those different jurisdictions. As a former local and state official, I know firsthand how complicated these taxes can be. Certain products will qualify for one rate, while a different product will have another tax rate and the taxes in one city, town or county will differ from the rate in other parts of the state. Hard working entrepreneurs on their own, or with a few employees, would have to navigate that maze of taxes. Most will likely have to hire accountants or tax lawyers to help them figure it out – cutting into the bottom line for a small business – jeopardizing their profits and their ability to keep employees. The Internet sales tax would be a rejection of our nation’s long-held belief in no taxation without representation. Allowing authorities to tax people who do not live or vote in their state and who will not benefit in any way from those taxes goes against the system of federalism that our founders created. Supporters of the sales tax have claimed that states are losing tremendous revenue. The facts say otherwise. Former Rep. Chris Cox (a former Chairman of the Securities and Exchange Commission) who has long been a champion against Internet taxes, pointed out in a recent WSJ op-ed that despite the claims by South Dakota in the case, “[t]he state’s own data show that sales and use tax revenue grew from $787.7 million in 2013 to $974.7 in 2017—considerably faster than the state’s rate of economic growth.” He added that sales tax revenue has been booming in most states. While it may seem like an Internet sales tax is a good way to stick it to some giant online retailers who are getting away with not paying their taxes, the exact opposite is true. The tax would in fact be a form of cronyism that helps these big retailers. Amazon and Wal-Mart, among many others, already collect sales taxes since they have physical presence all over the country. Those companies want an Internet sales tax because it would harm the small businesses who are competing with them and will give them a greater advantage. They have the resources and the personnel to figure out thousands of tax laws – small companies do not. The coming court decision is not the only danger to small businesses. In recent years, many members of Congress, including Republicans who should oppose higher taxes, have tried to advance legislation that would allow such Internet taxes. During the omnibus spending bill debate, members tried to include this tax – with the support of Speaker Ryan. Many believe there will be another attempt during a lame duck session. With Republicans having great success in cutting taxes, rolling back regulation and turning the economy around, the last thing we need to do is allow higher taxes and more intrusive government – as an Internet sales tax would do. Polls have consistently shown that Americans overwhelmingly oppose an Internet sales tax. The coming weeks and months will be critical in this debate, and entrepreneurs and supporters of free-market principles must stand strong and fight any attempt to impose Internet sales taxes. We cannot allow policies that would raise taxes, hurt small businesses, discourage entrepreneurship and undo the concept of no taxation without representation to help some big retailers and satisfy the revenue desires of politicians across the nation. Ken Blackwell, a former Ohio State Treasurer, Ohio Secretary of State and Mayor of Cincinnati, serves on the boards of the National Taxpayers Union and the Club for Growth. He also served as a domestic policy advisor to the Trump Transition team.